Omaha is no longer the ‘up and coming’ poker variant, it is now an established scene on all the best poker sites. With more and more players getting fed up with the same old Texas Holdem grind, the popularity of Omaha continues to grow. Here at Omaha Planet we provide a starting point for players of all experience levels who want to get off to a profitable start with their PLO, PLO8 and mixed poker game play. In addition to strategy articles which range from the basics and rules right through to some advanced mathematical analysis, we have reviews of the top poker sites which focus on the Omaha cash games, tournaments and sit n goes. 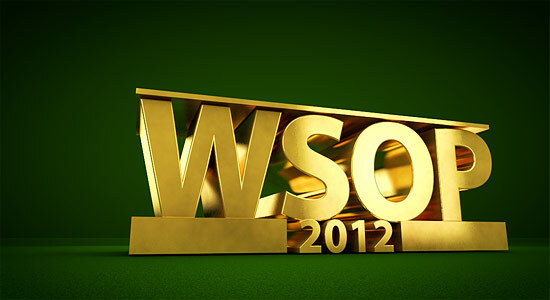 We are also happy to share insights and observations into which poker sites have the easiest games and best software. Getting your money into and off of poker sites is a hot topic among savvy players. Our policy (as with all of the Planet Branded sites) is to only deal with the biggest and best sites around. This allows players the peace of mind to focus on building their bankroll at long established and reputable sites. Players with more specific deposit requirements might like to check out this list of American Express poker sites. So, whether you are a fan of tournaments, cash games or sit n goes – Omaha Planet has articles and guides especially for you. Feel free to let us know if there are any areas you would like to see covered in more depth! 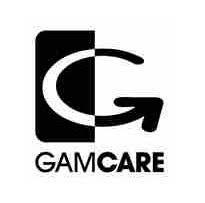 Best online poker site for Omaha. Known for having weak players. Great sign up bonus and promotions. Premier site on the iPoker Network. Huge sign up bonus & great traffic. Best site on the Ongame network. Ideal for Mac, Linux & PC users. Juicy games at European evening times. OmahaPlanet.com is a resource guide dedicated to the Omaha variant of poker. As you navigate our pages you’ll find comprehensive coverage of all Omaha games including Pot Limit Omaha (PLO), Omaha Hi-Lo, Fixed Limit Omaha and Omaha tournaments. If you’re a fan of the game, we have many resources available such as Omaha strategy and reviews of the best Omaha poker sites. For those here considering learning the game, you’ve also come to the correct site. If you are looking for information on any other variation of poker visit TwoPlusTwo.com For information on sports betting or online casino games check out Lots0Cash.com. Why Play Omaha Poker Online? Well for starters Omaha is the second most popular variant of online poker. Although Holdem’s 85.6% online poker market share makes it dominate leader, Omaha’s 12.3% makes it the only mainstream competitor. That’s right – As of 2012, 98.1% of poker games played online are either Omaha or Texas Holde’em, while all other forms of poker combine for just 2.1%. If you’re looking for a game other than Holdem, Omaha is no doubt the best choice. The best reason to learn Omaha is the fact it has fish appeal. The constant swings are what attract the fish – as there is a perception that Omaha is all about luck. Meanwhile skilled players know over the long term luck is not a factor. Let’s put it this way, it’s no coincidence the high stakes online gurus such as Phil Ivey, Gus Hansen, Phil Galfond (OMGClayAiken), Tom Dwan (Durrrr), Viktor Blom (Isildur1) and others spend most of their online poker time at Omaha tables. If your goal is to win every day (impossible, but) stick to Hold’em. If your goal is to make the most money in your poker career Omaha is a great choice. Omaha is relatively new game as far as poker history is concerned. The World Series of Poker (WSOP) which started in 1970, and has ran every year since, didn’t add the game until 1983.The first ever Omaha WSOP tournament was fixed limit Omaha won by David Sklansky. The following year it was played in its now more popular pot limit format and David Sklansky finished runner up, coming just short of winning the first two ever WSOP Omaha bracelets. A further testament to how new the game is, the original Doyle Brunson Super Systems book covered it with now incorrect rules. When that book was published in 1979 Omaha used only two hole cards. The current version of Omaha is played just like Texas Hold’em with just two changes. The first is players are dealt four hole cards instead of two. The second is that Omaha rules dictate a player must use exactly two of their four hole cards, and exactly three of the five community cards to make a five card poker hand. This is a strict rule; you cannot use any other combination other than two cards from your hand, and three from the board. Omaha is also popular as a split-pot game, called Omaha Hi/Lo or Omaha Eight or Better (O8 for short) which first appeared at the World Series of Poker in 1990. This was a traditionally a fixed limit game, but was made popular in the pot limit format (PLO8) since the early days of online poker, and this format was finally added to the WSOP in 2007. In this high-low version, the player making the best qualifying low hand wins half the pot. A qualifying low hand is five unpaired cards under eight (A-2-3-4-5 the best low, and 8-7-6-5-4 the worse low). 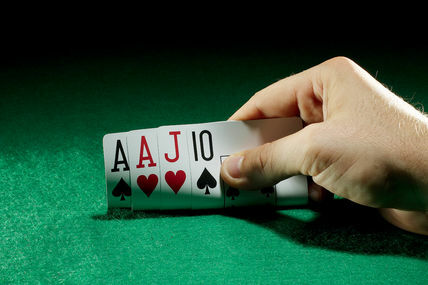 If no player has a qualifying low, the high hand wins the full pot. It is worth noting players can compete for both pots, using a different combination of hole cards and board cards for each hand. Omaha (high only) is played near exclusively in pot limit betting format. The no limit version was never popular nor a WSOP event. The fixed limit version was once popular and was a WSOP Event from 1983-2003, however since has mostly been extinct. PokerStars.com is the only site I know offering it, and you’ll be lucky to find more than 2 players seated. However, when it comes to PLO you’ll find 1500+ seated for this game. Omaha Hi-Lo is played in all three formats. While PLO8 is the most popular there is no shortage of traffic at NLO8 or FLO8. Over the past couple years PokerStars has helped make No-Limit Omaha Hi/Lo tournaments very popular with a steady dose of them on their MTT schedule. You can take a look at pokertablerankings.com to see who is best for online play. When it comes to tournament poker and the WSOP this is a bit easiest to quantify. As mentioned Omaha was added to the WSOP in 1983 and since that time 148 Omaha bracelets have been won. This includes 109 single Omaha bracelet winners, 13 two-time winners, 2 three-time winners, and one 4 time winner. If you’ve watched televised poker over the years, names you’re most likely familiar with who have won a single WSOP Omaha bracelet include Annie Duke, Antonio Esfandiari, Barry Greenstein, Dewey Tomko, Howard Lederer, Hoyt Corkins, Huck Seed, Humberto Brenes, J. C. Tran, John Juanda, Josh Arieh, Men Nguyen, Mike Matusow, Phil Galfond, Ted Forrest and Todd Brunson. 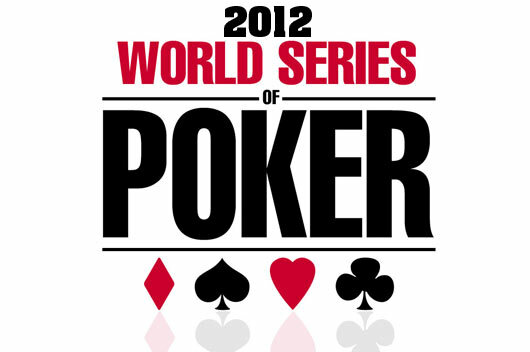 In the 2011 WSOP there were eight Omaha events which drew a combined 5049 entries. The largest event was the $1,500 PLO event which 1,071 players entered and in the end Elie Payan took home the bracelet and the $292,825 first place prize. The largest Omaha winner last year was Ben Lamb who outlasted the field of 361 players in the $10,000 buy-in PLO championship to pocket the bracelet and a $814,436 prize. If you’d like your chance at Omaha Poker immortality check out the 2013 WSOP Schedule, these are open events anyone can join. If you’re rather looking to play Omaha online for lower stakes as a method of recreation you can get started at any of our recommended Omaha poker sites. No matter what your aspirations are playing this wonderful game we at Omaha Planet wish you the absolute best in your endeavor; and notice we didn’t say luck. This is a skill game! A great one at that!